The following article is a huge breakdown of the 2015 Chevy Colorado Specs all in one place. If you're looking to test drive or purchase a Colorado you can contact our World Class Internet Department at (800) 680-0835 or with this form if you prefer text or email communication. A lot of power, a lot of comfort, a lot of fuel economy. 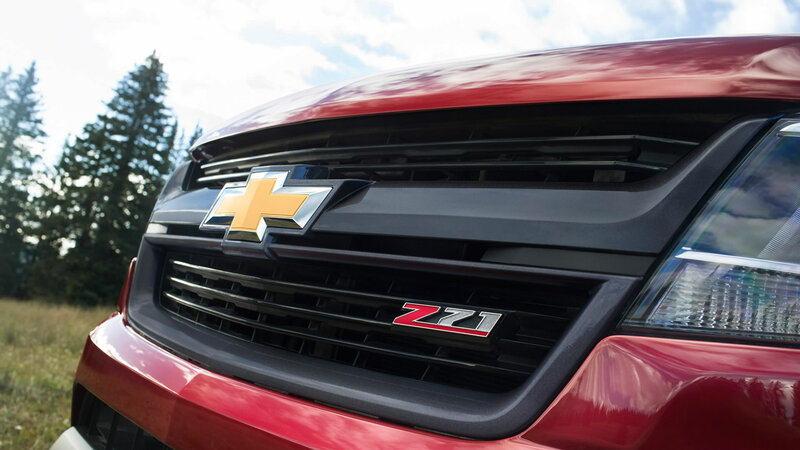 The 2015 Chevy Colorado is poised to dominate its market for several years. So we’re going to wrap up our series on the awesome 2015 Chevy Colorado with this (probably) final post. There seems to be a lot of people out there searching for the specs on the 2015 Chevy Colorado. I’ve got them scattered throughout several of our other 2015 Chevy Colorado posts, but I wanted to take the minute to gather them all in to one place for those of you who are interested. In this article you’ll find 2015 Chevy Colorado specs for fuel economy, engine power, payload, towing, interior and exterior dimensions and more. Buckle-up! First we’ll hit the big stuff everybody’s after. Now to some of the more nit-picky and relatively minor stuff you might be interested in. [Available] 2-Speed Electric Transfer Case. [Standard] 4-wheel antilock disc brakes with Duralife rotors. There’s a lot going on in this category with all the available options and accessories so we’re just going to list mainly Standard equipment here. Full details can be found at Chevy’s website. And there you have it. Nearly everything you could want along the lines of the 2015 Chevy Colorado Specs! If you feel we missed anything important don’t hesitate to drop a comment below so we can fix it! If you’ve had enough looking at numbers and want to see what all that means in the real-world than give our World Class Internet Department a call right now at (800) 680-0835.